In June 2017 Building Operations began a process of strategic review. One of the outcomes of the review process was participation in the APPA FMEP evaluation process. 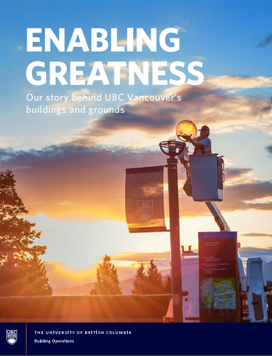 The book Enabling Greatness: Our Story Behind UBC Vancouver’s Buildings and Grounds served as both a formal APPA FMEP self-evaluation as well as a comprehensive overview of Building Operations, its activities, current performance, and future plans. 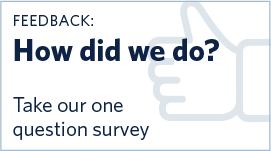 In a addition to this self-evaluation, an onsite review was conducted by a team of senior facilities executive who produced a final companion report [PDF] in November, 2017. In the fall of 2018, a cross-section of employees working within strategic direction from UBC, the portfolio of the Vice-President, Facilities & Operations (VPFO) and the AVP Facilities, Building Operations took the work from Enabling Greatness to build five key strategies to support our mission. Successfully implementing an Enterprise Maintenance Management System (EMMS). Enhancing Building Operation’s values and culture. Ensuring the health, safety, and well being of our employees. Building Operations consists of many business units providing a wide variety of services to diverse clients. Our next step will be for each business unit to use this handbook to create detailed plans for each action so we can advance collectively to success.